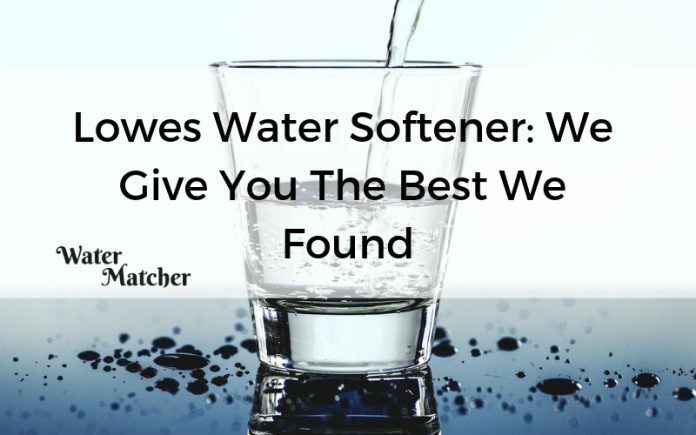 Buying a Lowes water softener may be the best solution in the long and short term. We reviewed the ones available and help you find the best. Lowe's is one of the largest home improvement stores in the world. It offers a wide range of products for your home at exceptional values. Among their stock are several options for water softeners. 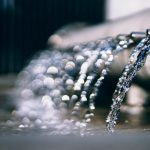 What are the best Lowe's water softeners available right now? Check out the information we've gathered below to find out. 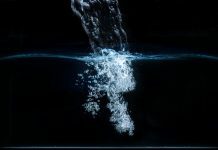 Water Softener vs. Water Filter: What Are the Differences? How Much Does a Water Softener Usually Cost? We understand that your time is valuable. We searched through the available inventory at Lowe's to compile this list to help you get the basic facts about your choices, so you can make the most informed decision quicker. The products we reviewed ranged in price from $$ to $$$. ​The Pelican PSE1800 softens the water flowing to every tap and shower head in your home without the use of salt or chlorine. 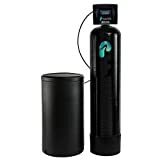 Instead, it utilizes a powerful carbon water filter along with NatureSoft water softener to dispense high quality water throughout your home. Installation is easy as the Pelican PSE1800 doesn't require a dedicated water drain or source, nor does it use electricity. This Whirlpool consists of a two-tank system that holds more salt-facilitating water softening to a larger home and family. 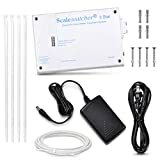 Ready to install softener-only system can be used indoors or put outside as long as the temperatures don't dip below freezing. The KS15 does not use salt, just Pelican's NaturSoft water softener, which should be added as needed. Much like the Pelican PSE1800, the Whirlpool Pro Series Filter 31,000 pulls double duty as both a water softener and a filter, providing chlorine and chemical-free water to every faucet in your home. 6th Sense patented technology minimizes salt consumption over time by learning your usage habits. No replacement filter is required. WiFi-enabled to sync to the Iris smart-home monitoring system, which informs you of system flow rate, sodium levels and amount of water processed per day. The system stores up to 200 pounds of salt, making it ideal for larger households. 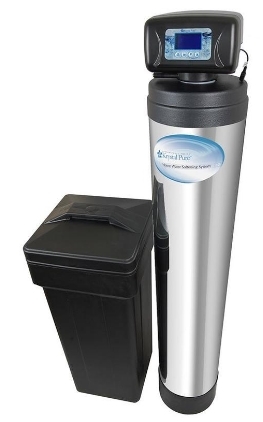 Larger capacity than the previous Krystal Pure model (reviewed below), so it processes and cleans more water with the same efficiency. A hard-working and intelligent addition to your home, the Krystal Pure KS10 reduces sediment and iron, softens water and monitors your home's water consumption. Outdoor mounted system uses magnets to descale hard water for indoor or outdoor use. This model is perfect for use by homes with city or well water. 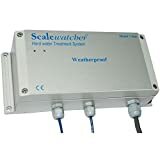 The simple design of the Scalewatcher 3 makes it an easy add-on to any home water system. The unit attaches to existing pipes and conditions water without the use of additives. If you have hard water, you may notice that your soap doesn't get as sudsy or your skin is very dry. Hard water is the result of mineral deposits left behind from water sources that contain it. Both city water and well water can contain an over-abundance of these minerals that, over time and with regular use, can start to leave stains and reduce the efficiency of your water-dependent appliances. Hard water can cause the rapid breakdown of your plumbing system, your water heater, dishwasher and washing machine by leaving deposits of minerals and caking up filters and hoses. Over time, this build-up starts to clog water intake and outflow, as well as have an effect on dishes, laundry and the like. Water softeners were created to gently and efficiently remove the buildup of excess minerals in the water supply. This removal is accomplished with the help of a mineral tank that facilitates an ionic exchange between the water and the tank. The water flows through the tank where the positive ionic components grab the bad minerals. The softer water then flows out of the tank and into a water heater or directly into the house for immediate use. Salt is the common way to facilitate the ionic exchange. Water filters differ from water softeners as they serve two separate functions. However, they can both be included in one system. Water filters use carbon to sift out harmful chemicals, contaminants and unpleasant odors from water as it flows to the tap. These filters can be installed directly onto the sink dispensing the water. The purpose is to filter the water enough to make it safer and more pleasant to drink. 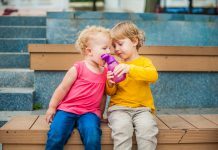 If the water filtration system is included as part of the softener, they will both act together at the water's source to soften and then subsequently filter out further chemicals. 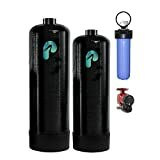 A benefit to having a water filter and water softener in one is it filters the water to the entire home, not limiting filtered water to the faucet it is installed on. Water softeners range in cost and are dependent upon the size of the system and the way in which it processes water. One key factor in any decision like this is the size of the home. You do not want to get an inadequately sized water softener, or it will cease to function due to burden and demand. The larger the system, the higher the price and ongoing maintenance. Furthermore, there are also systems that do not use salt to facilitate the ionic exchange. They may use a particular cleansing solution or they use magnets. All of these factors affect the bottom line. The products we reviewed ranged in price from $$$ to $$$$. 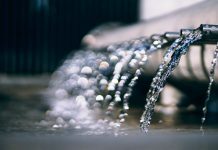 We know that you still might be a little unsure about the benefits of installing a water softener in your home; however, ridding your pipes of the mineral buildup that makes your water less than ideal is something worth considering. The above 10 options all range in size, shape and function with the highest-rated and most recommended one being the Pelican Water Filter/NatureSoft Combo. 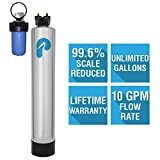 The price is high, but Pelican's reputation, the lifetime warranty and the fact it softens and filters water make this system a clear winner. Never again will you have overly dry skin or hair as a result of hard water and mineral buildup. 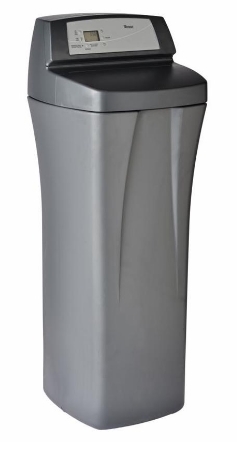 With the help of a Lowes water softener, particularly this Pelican dual-functioning model, you will never have problems with bad tasting water or stains around your drains and in your driveway. Instead, you'll be wondering why you waited so long to take the plunge and turn every faucet into pure bliss. 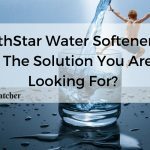 Next articleNorthStar Water Softener: Is It The Solution You Are Looking For?